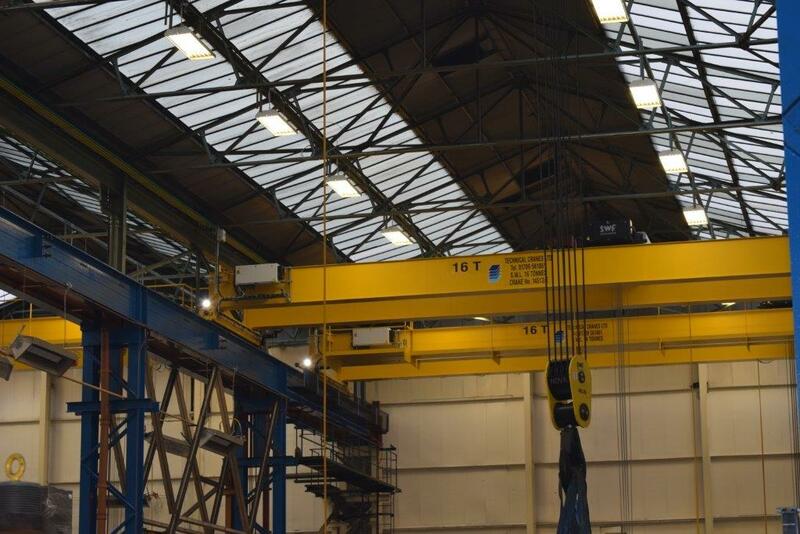 Technical Cranes supplies crane lifting equipment with both standard and bespoke cranes for safe working loads upto 200 tonnes and with spans in excess of 40 metres. The standard warranty on spare parts are carried in UK stock for the equipment we supply. Our new crane lifting equipment range also includes mobile A frame gantries, pillar jib cranes, lightweight crane systems and lifting beams. Our in-house design team makes it possible to offer customers a bespoke service using the latest Solidworks design and 3D modelling software. Designs are conducted by qualified engineers with experience across a spectrum of crane and lifting equipment types.